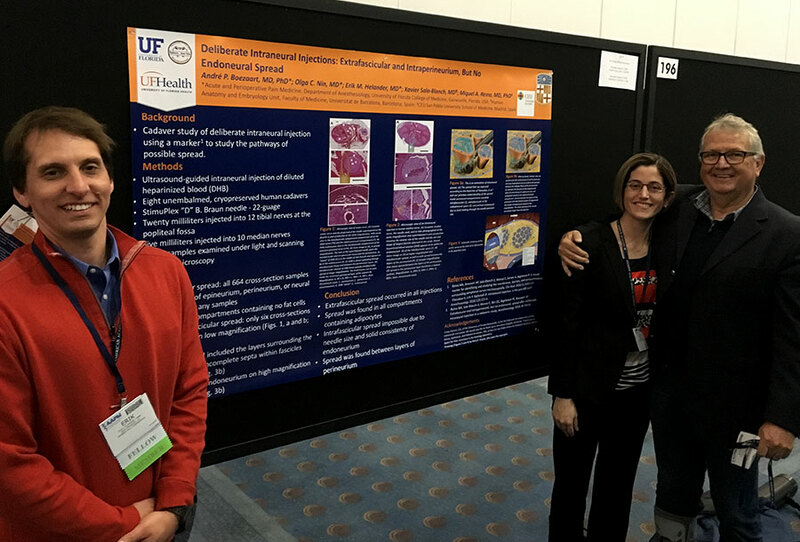 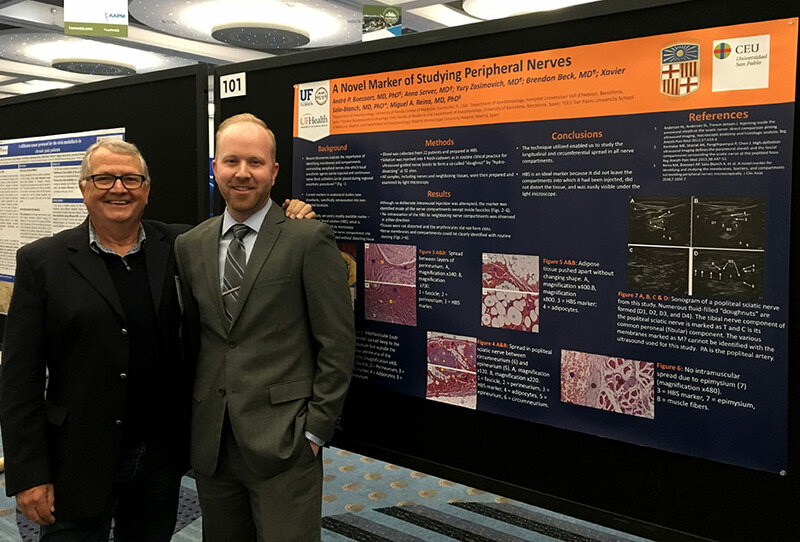 The Division of Acute and Perioperative Pain Medicine presented eight research posters at the American Academy of Pain Medicine’s 2019 Annual Meeting in Denver, Colorado. 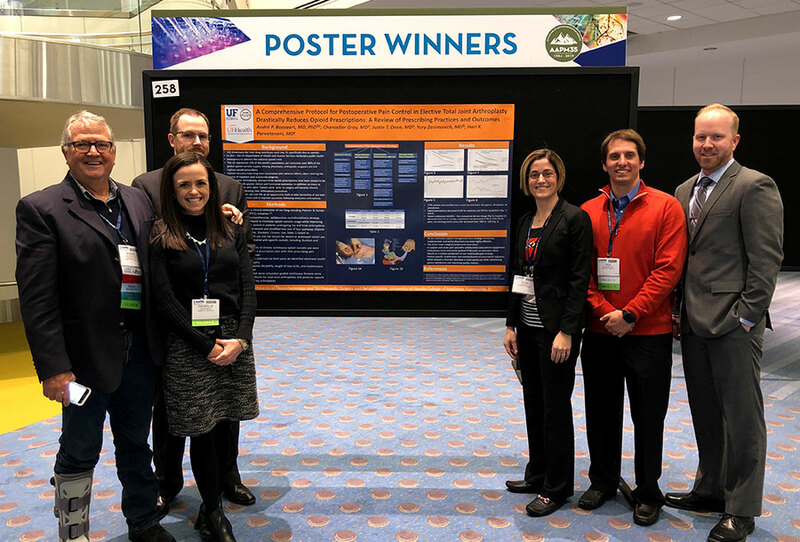 “A comprehensive protocol for post-operative pain control in elective total joint arthroplasty drastically reduces opioid prescriptions: A review of prescribing practices and outcomes.” won best poster of the meeting out of over 600 entries. 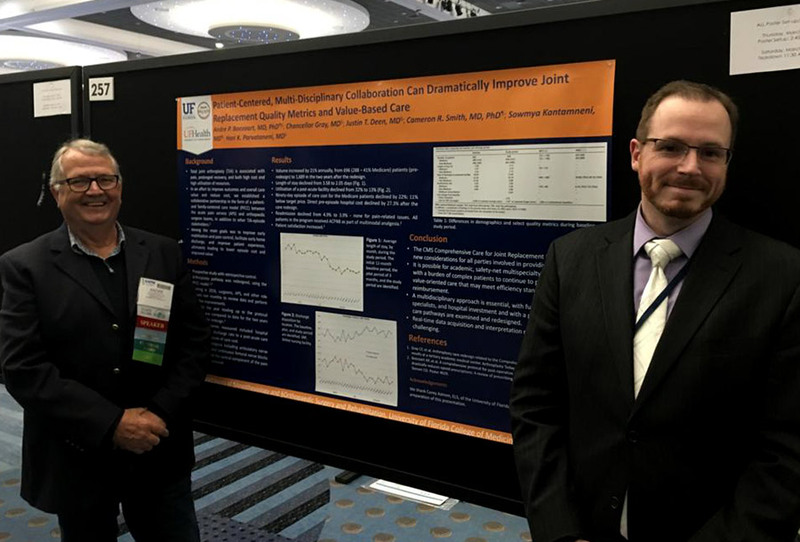 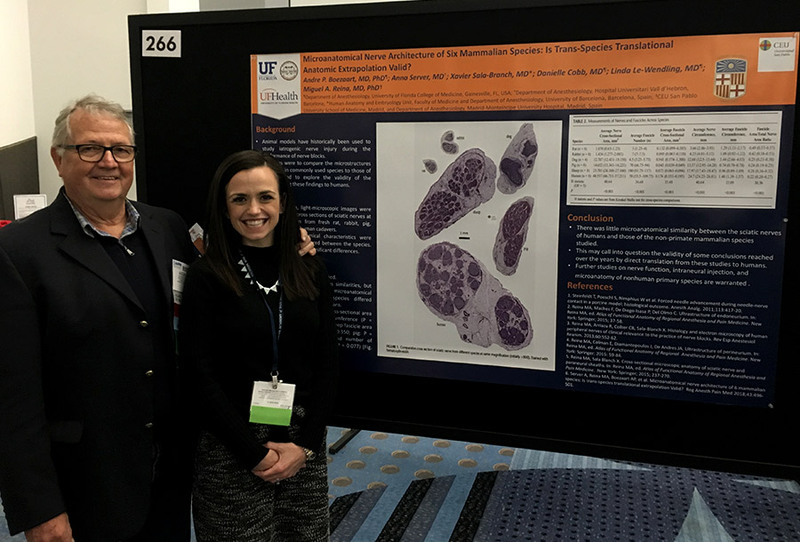 This poster was authored by our own André Boezaart, MD, PhD, and Yury Zasimovich, MD, in conjunction with Chancellor Gray, MD, Justin Deen, MD, and Hari Parvataneni, MD from UF’s Department of Orthopaedic Surgery and Rehabilitation.